It will come as no surprise to those familiar with the internal actions undertaken by the Central Intelligence Agency that deception and protecting vital secrets are undeniable necessities for national security. However, some activities venture far beyond what is necessary and despite contrary official statements, other actions have repeatedly occurred not from necessity but agenda. Deciphering what is merely operational requirement and what is possibly nefarious intention can prove difficult at times. There is significant evidence while officials frequently employ benign deception at times questionable and dishonest agendas too are in play. The chance for abuses can occur using a method of intelligence protection called compartmentalization. This allows the secreting of intelligence among a smaller group of people to prevent exposure and reduce who possesses the most important operational details. Yet this creates the ability to conceal information from external oversight. One document seeking to prevent Agency Employee Joseph Stefan Piccolo's affiliation orders his records to"...be blocked from all outside inquiries from 16 October 1957 forward." Officials determined that Piccolo's "...entire association with the Agency must be denied, you are requested to block his records for the entire period of time he has been employed by the Agency. "i While this method would protect an employee from public investigation and enemy intelligence gathering, it alternately might compartmentalize records from public officials as well; this likely would include later investigating officials. Some might protest that the CIA would not knowingly deceive allied official groups especially those who aided the Agency by providing cover to many of its agents, and those people would be mistaken. A portion of one internal memo regarding the CIA's support of controversial Cuban exile leader Marcos Diaz Lanz considers why the US State Department would not appreciate the Agency having infiltrated Diaz Lanz into America without its prior consent. After consulting Director of Central Intelligence Allen Dulles concerned officers decided to hold Diaz Lanz and later alert the State Department. However, they did not mention ignoring the State Department's jurisdiction, their secretly aiding Diaz Lanz, and the specifics of his journey to America.ii The Agency verifiably would use deception against even its closest allies and repeatedly ignore the law if doing so served their purposes. One little known Agency document assesses President's (Warren) Commission Assistant Staff Counsel Samuel A. Stern regarding a future visit to its headquarters in nineteen sixty-four. The CIA gathered nothing but positive information on him but this document provided a notable additional fact. "In October 1961 a CSA (Covert Security Approval) was issued for Stern's utilization in connection with..." a redacted Agency undertaking. 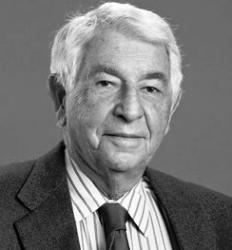 Stern worked as the law clerk for an attorney named Lloyd Cutler, who would later serve as the White House counsel of two United States presidents. A connected document states, "...there has been no contact with him since his association with the Warren Commission. "iii This begs some reasonable questions, what exactly did the Agency discuss with Stern while he served the Commission? Were these contacts all merely formal Commission staff associations? Did they utilize Stern to gather internal information about the Commission's investigation or even attempt to influence his reports? All these things are within the realm of possibility. That Stern's connection remained largely unknown then would likely imply he did not share his prior association with the Central Intelligence Agency. Similarly, former Commission member and later President Gerald Ford had concerns would verify the CIA's suppression of critical information aimed at the President's Commission itself. A significant existing amount of declassified official documents presents a repeated series of Central Intelligence Agency assassination plans and operations underway in the nineteen sixties. Yet Ford states, "As I remember, those of us on the Commission got the impression the Agency has never engaged in such activities against Castro. "iv It seems the President was unaware of exactly with whom he was dealing. However, not just the Agency but also those associated with them used deception as well. While some of Veciana's claims are verifiable, substantial evidence contends his greatest evolving accusation. He stands by his claim that CIA officer David Atlee Phillips met with Lee Harvey Oswald using the pseudonym Maurice Bishop, despite that he prior denied Phillips was Bishop to congressional investigators. Subsequently he changed this identification to Agency officer J. Walton Moore, and then later reversed back to Phillips. Veciana further asserts that Bishop told him to create the Alpha 66 exile group and subsequently attributes most of his and the exile group's operations to the elusive Bishop. Yet official documents contend not just Veciana controlled Alpha 66 but that he neglects to mention it had multiple cofounders who authored its operations and this challenges the very foundation of his later claims. In a media article reporting the death of Cuban exile leader Eloy Gutierrez Menoyo, he states that not Antonio Veciana but he first created the Alpha 66 exile group in Miami to overthrow Fidel Castro.viii Veciana was the treasurer for Alpha 66 and he prior states to officials in nineteen sixty-two that he met with other unidentified Cuban exile leaders to form Alpha 66. Additionally he publicly announced he was the spokesperson for the group and that Alpha 66 "...has no leader as such." ix He further claimed that if the paramilitary actions planned by Alpha 66 failed, they would return all donations sent to the group. Yet Veciana seemingly failed to return the donations following a divide in the original group and he later formed the group's corporate entity to deprive opposing group members of the name Alpha 66. After Veciana's subsequent attempts to raise donations Puerto Rican officials received complaints from Cuban exiles "...describing Alpha 66 as just another fraud to obtain money from the exiles." The negative assessments likely stem from October nineteen sixty-two, when the majority of original Alpha 66 members felt betrayed by Veciana. Controversy began when they learned of whom reportedly controlled the group, accessed its funds, and used Veciana as their proxy. Evidence states Eloy Gutierrez Menoyo the head of the Segundo Frente Del Escambray, "...was behind both organizations (Alpha 66 and SFDE). When Veciana's covert association with SFDE and Gutierrez came to light, Alpha 66 members felt they had been deceived, and Veciana was forced to resign. "x One contributing factor to explain the feeling of betrayal was the longstanding accusation and some circumstantial evidence that links Menoyo to Cuban intelligence in ninteen fifty-nine.xi It is possible the many failures of Alpha 66 operations were according to Menoyo's design. His part in forming and leading multiple exile groups could have been to gather intelligence and prevent these groups from actually doing significant damage to the Castro regime. Hidden control of the Alpha 66 is not attributable to the unproven Maurice Bishop as Veciana claims but more likely the very real Eloy G. Menoyo and other unnamed co-founders. Further supporting Menoyo's hold over Veciana is following the Alpha 66 split Veciana and Menoyo together left the original membership without finances and largely damaged from their past failed operations. Notable was Veciana prior being used by the Agency to gain access to members of Menoyo's group. Six months later in nineteen sixty three, Veciana and Menoyo established a unity coalition between the later formed version of Alpha 66, the MRP (Movimiento Revolucionario del Pueblo), and the SNFE (Second National Front of Escambray). The truth feasibly rests between the CIA's deceptive claims and Veciana's legendary evolutions. Yet evidence proves both sources have made unreliable statements and one lie does not lend credibility to the other's assertions. While the Agency desperately sought to distance itself from Veciana and his growing allegations, Veciana has seemingly ever sought to aggrandize his associations with the CIA and rewrite the history of Alpha 66. The Agency and those associated with it have concealed their full past associations from most because some are too eager to use deception and secrets. Honesty is fleeting in a society where truth is a cherished resource and lies are the currency of the realm.